The relations between Big Boss ex-contestants Gauhar Khan and Payal Rohatgi have been deteriorating. This whole controversy started when Payal Rohatgi tweeted about Article 370.Payal Rohatgi in a tweet said that if Section 370 is not removed then Kashmiri Muslims should be expelled from Kashmir. Gauhar Khan replied to Payal Rohatgi tweet and after that while replying to Gauhar Payal called Gauhar a Muslim aunty and dragged Gauhar-Kushal Tandon’s affair in the entire dispute. First, Payal Rohatgi tweeted, “If Article 370 cannot be removed, then ask Kashmiri Muslims to leave Kashmir. The central government should make Kashmir a defense area.Payal also said that Kashimirs start leaving in other cities of India and that Kashmir will always be a part of India it doesn’t matter it Kashmiris live in Kashmir or not. After Gauhar Khan’s reply, Payal Rohatgi was in no mood to spare her. In this Twitter war, she dragged Gauhar and Kushal Tandon’s relationship. While talking about their relationship Payal called Gauhar “Muslim aunty” and said that she was in an unsuccessful relationship with Hindu boy.Payal also commented on the dress worn by Muslim women saying that Gauhar should work out in hijab since Muslim women in her building do that. Taking this war a step forward Payal Rohatgi also claimed that Gauhar tried to convert Kushal Tandon with whom she was in a relationship to Islam.She also called Gauhar a ‘jihadi’ and said that they want to change everybody’s religion. 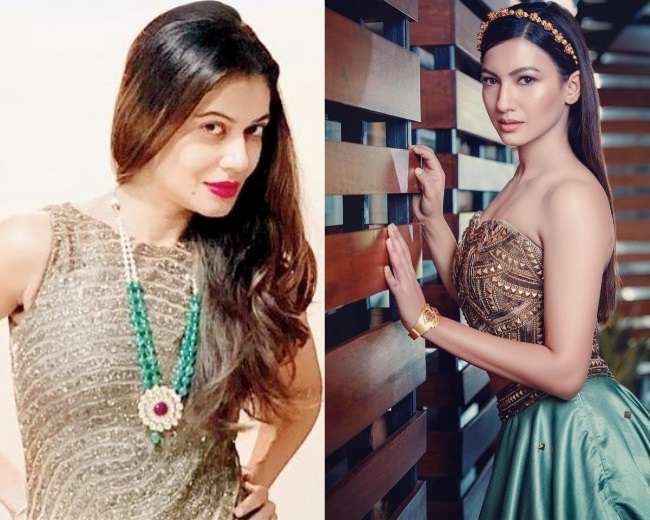 Gauhar Khan responded calmly and said that Payal Rohatgi has so much venom inside her and that she should spreading hatred among people.The Twitter War of Gauhar Khan and Payal Rohatgi has been getting a lot of headlines. After this altercation, Gauhar Khan has blocked Payal Rohatgi from the social media platform.For more interesting stories, Download the Lopscoop application from Google play store and earn extra money by sharing it on social media.